ARRIVED at last is a transparent glass that actually bends and stretches, a glass that yields comfortably to body pressure and then eases back to its exact original shape. This amazing product of modern science has been hailed as a miracle material. It is water-proof, perspiration-proof, alcohol- proof, easily cleanable and does not support combustion. Despite its elasticity and flexibility, this new glass is tough, durable, does not scuff or crack. It is inert chemically and does not deteriorate. In appearance, elastic glass is strikingly attractive. In its natural color it is clearly transparent, so that when it is fashioned into belts or braces it blends with every color and pattern perfectly. It is also made in translucent colors—garnet, sapphire, emerald, amber, all iridescent, rich and sparkling—as well as black and white. At present, elastic glass is made into garters, belts and braces that offer many advantages and novel features. In the near future, however, this remarkable new material will be introduced in the manufacture of luggage, handbags, women’s belts and accessories and numerous other items. 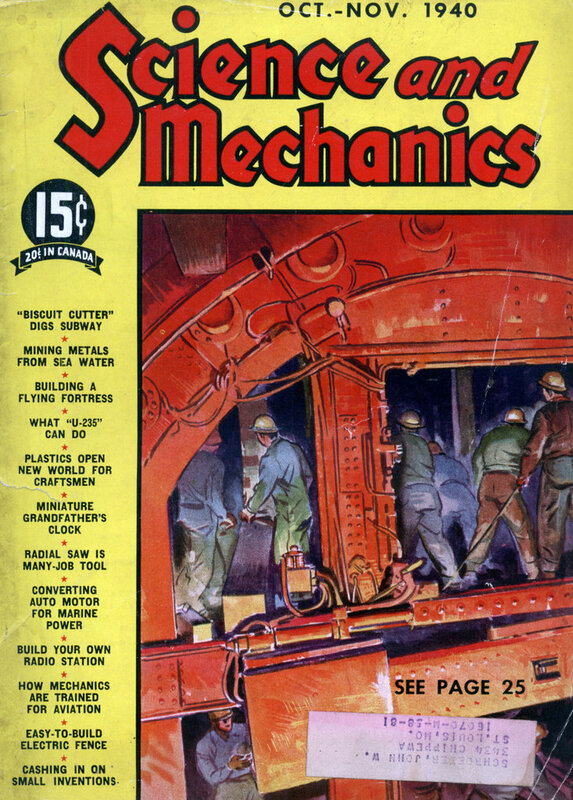 I wonder what that actually was – mylar or something similar, maybe? I’m thinking vinyl, or maybe even PVC. 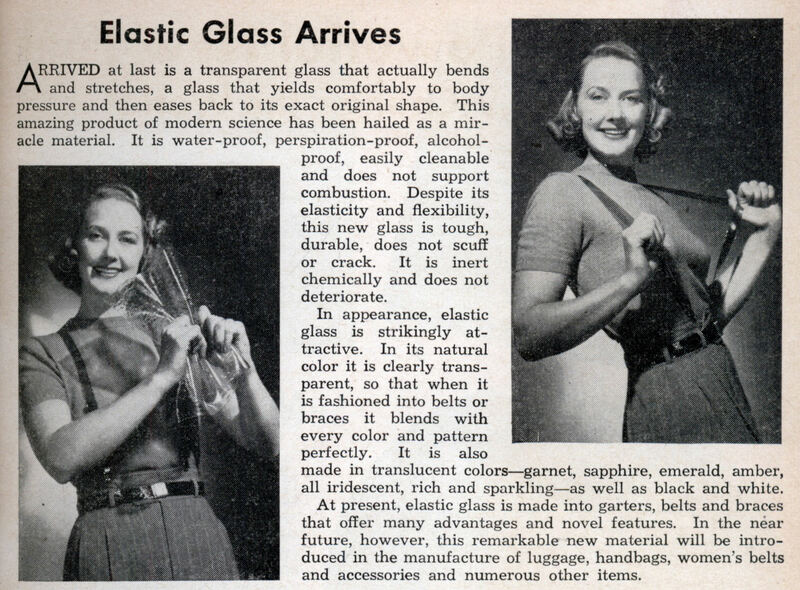 I see a note on the article now that says that “elastic glass” became known as Plexiglass. That indeed is a plastic – it’s acrylic. Looks like transparent aluminum to me. bobby j: Nah, the are no whales there….